There’s a noble suicide and a noble divorce. There’s an extramarital affair that gets forgiven awfully quickly. Now let’s figure out if the hat counts or not. Oh, and the villains pretty much get away with everything, their illegal machinations and murders unpunished. And that, in fact, may be all you need from a Gambling Lady review since there’s so little to distinguish it from a number of women’s pictures of the era. Compare it to something like Shopworn and you can almost match them up beat for beat: good girl from the dregs meets a nice but dull guy from the top. They fall for each other, and someone tries to intervene. The rest of the movie is about whether a woman’s love is worth a paycheck or not. 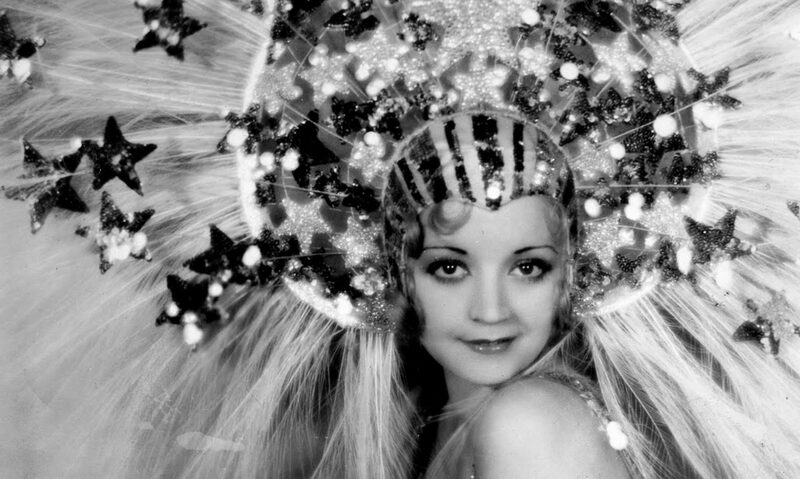 It’s not of course (not unless Jean Harlow is at the helm), but the calculation of the details makes this a bit more palatable that Shopworn‘s cynical ‘the world is out to get you, good luck’ subtext. 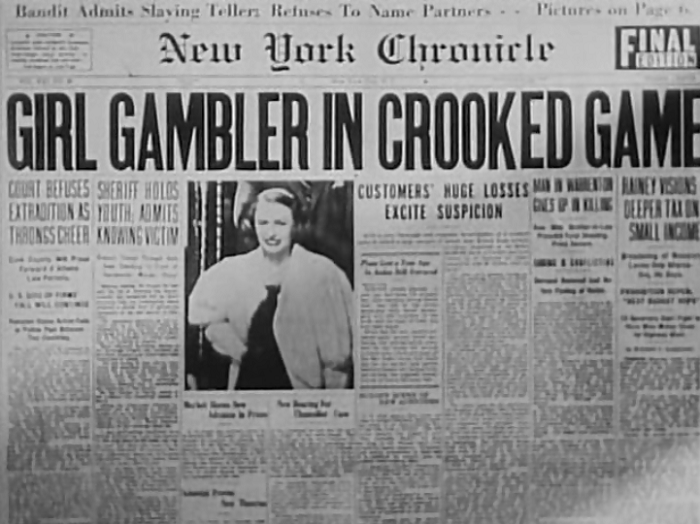 Mind you, Gambling Lady still has its narrative bugaboos, but we’ll get there soon enough. 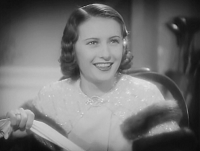 Barbara Stanwyck’s Jennifer ‘Lady’ Lee is the daughter of a gambler and one herself. She’s got better luck though, thus proven after dad kills himself after being harassed by a gambling operation called The Syndicate. The Syndicate– like all organizations referred to simply as ‘The Syndicate’– are a bunch of no-goodniks, who shed people who get in their way with ease. 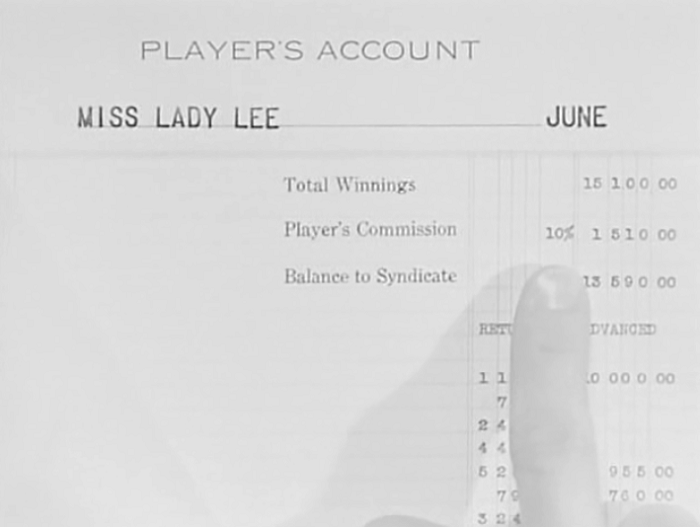 Lady joins up with The Syndicate to make some money off them. She always plays honest, though, which freaks them right out. During one game, she meets hoity-toity Garry, a rich fellow who flirts with her, and she flirts right back. You can tell it’s love by the way she loses money on a game. 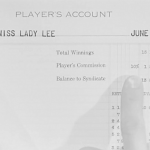 There’s only three problems in the way of their happiness, if you don’t count the cash-happy Syndicate: first is Garry’s father, who, luckily, was a good friend of Lady’s pop and after a brief attempt to prove she’s just a gold digger, relents and lets the marriage proceed. 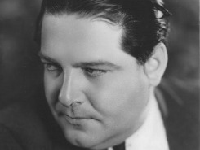 However, there’s also Lee’s friend Charlie, who is a nice guy but a dishonest gambler; even though he has affection for her, she remains his friend. Last but not least is Sheila, who is deeply in for Garry. She claims that she was engaged to him first, and while she tries to act the carefree playgirl, deep down she’s burning up. Sparks fly almost immediately between Sheila and Lady, and it doesn’t take much for the claws to come out. 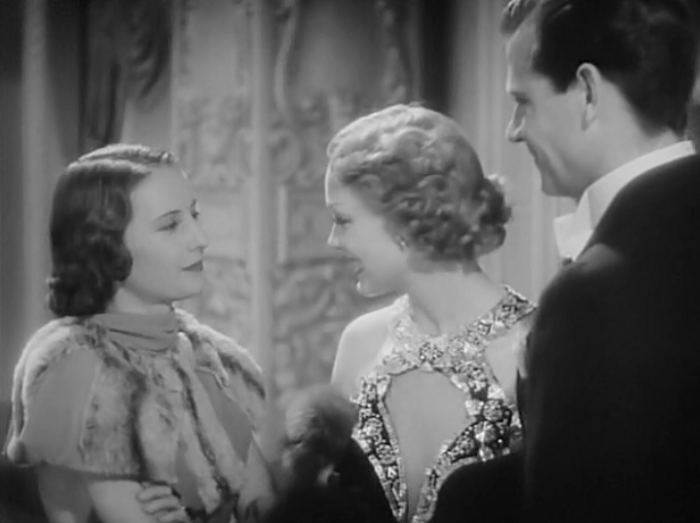 This love quadrangle between Lady, Garry, Charlie and Sheila is what the movie preoccupies most of its closing run time with, and the movie masquerades momentarily for working along the same lines as The Divorcee in terms of people trying to work out the boundaries of one another’s affections. 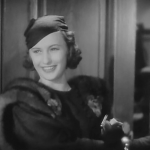 We’ve lucked out, too, that all of the actors are aces at their parts: Stanwyck is still Stanwyck, coy one minute and lethal the next. McCrea is a big dumb sweetheart, whose anger is always kind of surprising. 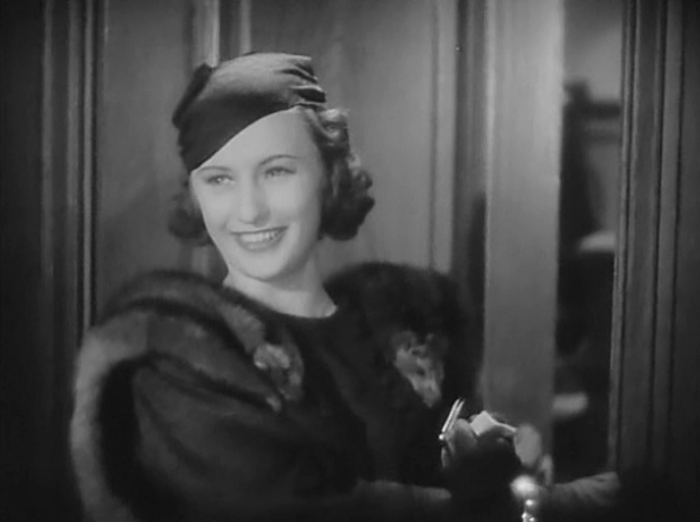 O’Brien is a nice charmer, but Claire Dodd as the woman who was both scorned and desperately wants to scorn back is the standout. 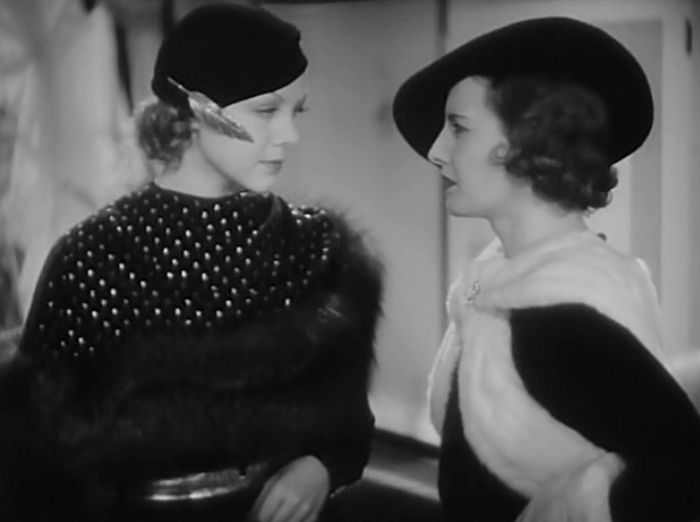 Her villainous slink and ability to outmaneuver the the clever Lady make the scenes between the two of them the best in the picture. No blows are exchanged, but there are looks, yessiree, there are looks. This complicated situation explodes after a murder, leaving Garry in jail as the prime suspect. When Lady figures out his alibi– smelling Sheila’s perfume on him– she rightfully walks out. When Sheila adds insult to injury be refusing to testify to Garry’s innocence, Lady must agree to divorce him so that Sheila’s tongue may be loosened. The film then doubles back to the question that these pictures always circle around, where everyone suddenly assumes Lady was out for Garry’s money, and the divorce all the proof they need. 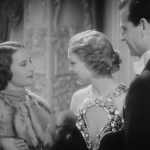 Lady runs packing, but Garry’s father, who has faith in Lady, figures out the ploy and together with Garry reunite with Lady before she can depart for Europe. The awkward closing scene has Garry kissing Lady while his dad shakes her hand. The ending of the film kind of makes a mess of things. Besides ditch all of the interesting relationship drama to make Dodd the more outright villain, we lose O’Brien in a quick moment. The question the film backs back up into– yes, the gold digger one– seems to be tedious even to the filmmakers who would rather focus on the relationship issues, only it keeps teetering back into view. Better movies have done more with this drama, which is why I wish Gambling Lady had aimed for something a little more complex. As it is, Garry’s infidelity is quickly buried, since love finds a way. 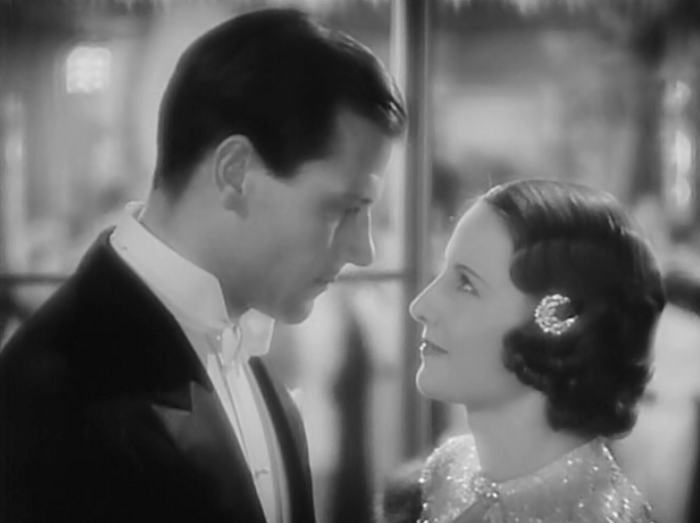 And while that’s certainly a worthy notion– that true love is more important than monogamy– the film never really does anything to back that up. Like a lot of films of the era, the man cheats, and the woman is just expected to either deal with it or get over it. This one picks the latter. 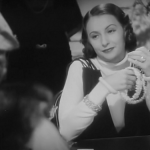 One of the more surprising things about this film, even knowing the peculiarities of pre-Code cinema, is how The Syndicate gets no comeuppance for either forcing Lady’s father to kill himself nor in their blatant murder of Charlie to keep their business quiet. Very much trained in the ‘good guys always triumph’ school of post-Code reductionism, it’s interesting to see a film that takes the perspective that some criminal enterprises aren’t worth fighting against. Considering the time it was made and who the audience was for Gambling Lady, it was probably more important that the marriage was saved than her friend is avenged. 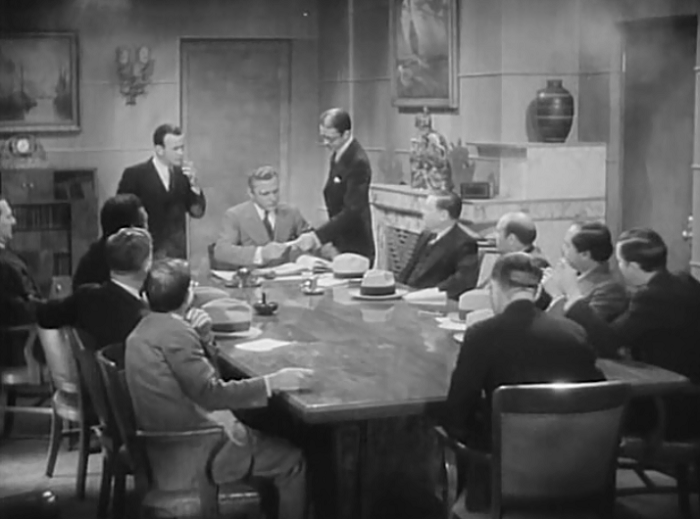 As I was saying, the films actors save the rather schizophrenic proceedings from falling into too much disarray. 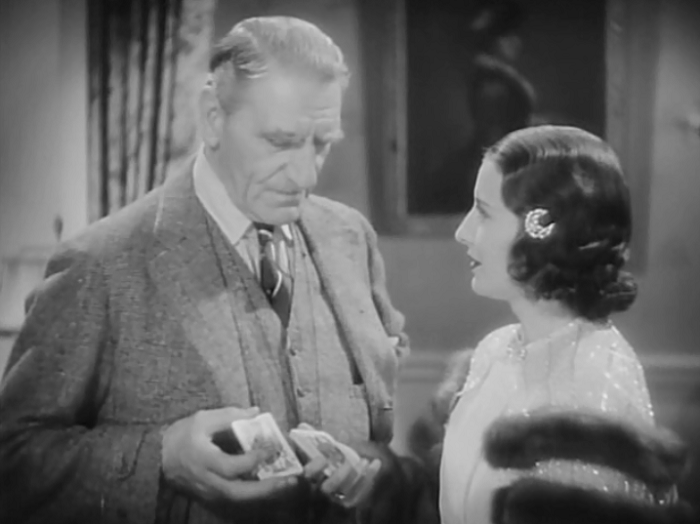 Have I mentioned C. Aubrey Smith yet? His fatherly routine is the perfect mix of warmth and suspicion. 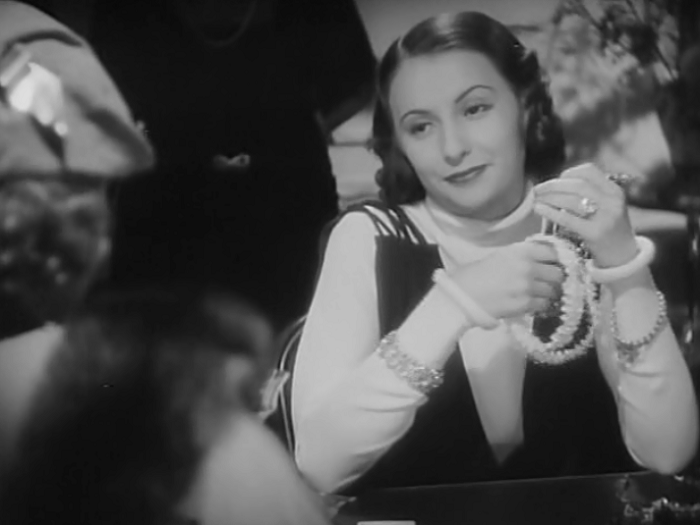 Despite the great acting chops present, Gambling Lady remains a bum hand of cards: nothing satisfactorily matches up. 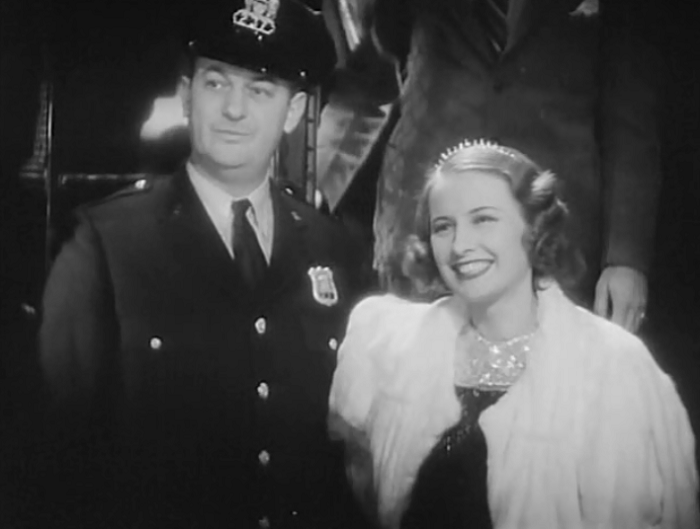 Just to help you out a bit, this film, Gambling Lady (1934) starring Barbara Stanwyck, has nothing to do with The Lady Gambles (1949) starring Barbara Stanwyck. 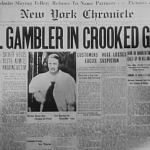 The latter is a neo-noir about a journalist woman with a gambling addiction which bears no connection to this one; here is Martin Teller’s review of it. Immortal Ephemera (who has a very non-subtle crush on Claire Dodd if you didn’t know) covered this a few weeks ago, and he enjoyed it quite a bit. Good bits of dialogue and nice observations here. Whoa, eyes up top Barbara. 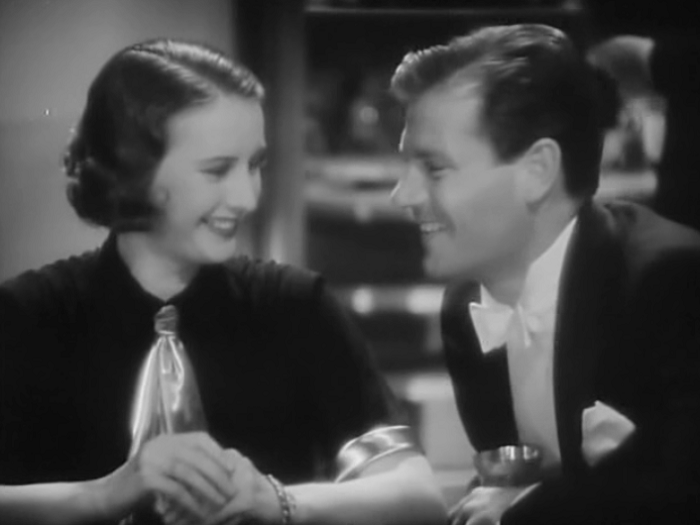 Ah, another hard to come by rarity in the Stanwyck collection. 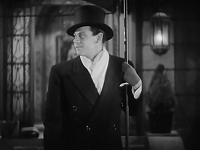 Check TCM for its next showing– that’s what I do!